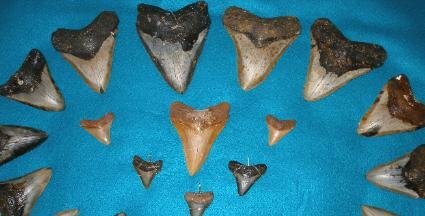 We sell rare teeth from the largest shark that ever existed, the Megalodon. 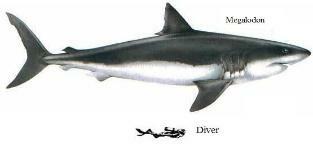 These ancient sharks lived 1.6 million to 25 million years ago and were 40 to 60 feet long. 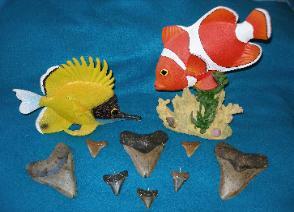 The teeth are highly sought after by divers and fossil collectors. 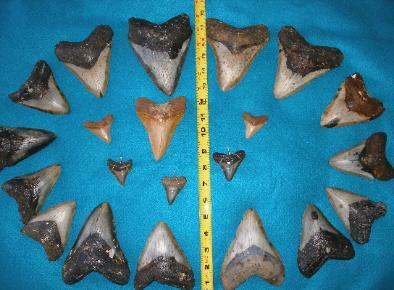 We offer large teeth for sale (as shown here). We also have smaller teeth wrapped in gold or silver that can be worn as a pendant or charm. 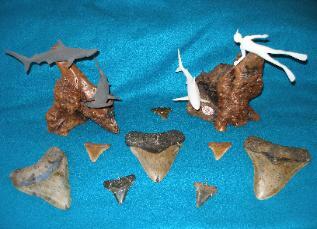 Fossil hunters and divers have found Megalodon teeth that range in size from very small to over seven inches.